Vice-President, Yemi Osinbajo has stated that paying higher tariffs in the power sector is inevitable. Osinbajo said this while speaking at the 6th presidential business forum for private stakeholders in Abuja on Monday. He, however assured that the federal government would not increase tariff now. 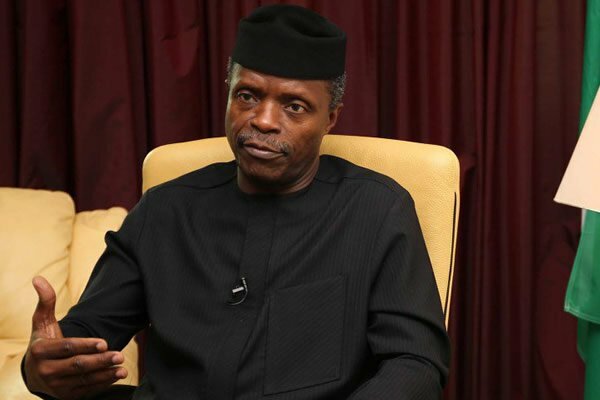 Osinbajo said the government would be meeting with the World Bank, on a scheme that would involve “a fair amount of subsidy”. “Listening to questions concerning lower tariffs, we must pay higher tariffs, these sorts of things are inevitable. What we are trying to do is not increase but how we can ensure we clean up the entire value chain. “I’m sure you are aware of the Payment Assurance Guarantee which we put in place for over N700billion to ensure gas is paid for and for liquidity in the whole value chain. “Today, we will be meeting with the World Bank on a scheme they have been working with us on to fund the entire value chain, and ensure we transit smoothly from where we are, to a much more market-determined policy for electricity. “This will involve a fair amount of subsidy and help the federal government and World Bank are working together on that. There is no way of sustaining the current subsidies long term, but we want to ensure the process is smooth,” Osinbajo said.